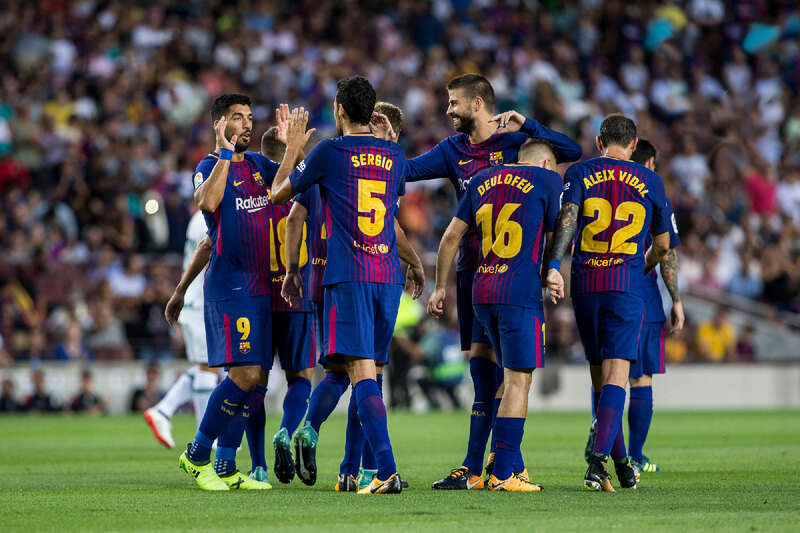 Barcelona will host Depotivo La Carona in Laliga and hope to maintain at least six points gap in Valencia who sits at second and a 11 points gap on Real Madrid. To do that, they will have to be able to keep their unbeaten run intact when they host Depotivo at home this weekend. Esterno Valverde will have to put his best team available out this weekend. Andre Ter Stegen will continue his role in goal. His form this season has been incredible. He is one of the reasons why Barca are still unbeaten in the league so far. Sergi Roberto have been getting the nod ahead of Semedo and he is expected to continue his start in the league. Thomas Vermalen and Gérard Pique partner at the centre of defence in the absence of Samuel Umtiti. Jordi Alba compete the four man back line as he plays from the left back position. Paulinho is expected to start in the defensive midfield role. He will be playing alongside Ivan Rakitic and Andres Iniesta. The trio will complete the three man midfield. They are responsible for helping Barca retain the ball more in this game. Palco Alcacer will be getting the nod in this game and will play alongside Messi and Suarez. Messi have been in an incredible form which has made Barca top the league. Predicted line up: Ter Stegen, S Roberto, Vermalen, Pique, Alba, Paulinho, Rakitic, Iniesta, Messi, Suarez , Alcacer. With the team Barcelona will be putting out in this encounter, they will be getting at least three goals in this match and a win is almost certain.